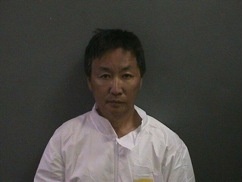 Fifty-four-year old Kwang Cho "KC" Joy remains held in the Orange County jail on $1 million bail in connection with the death of Maribel Ramos, a 36-year-old Cal State Fullerton student and Iraqi war veteran. The death of Maribel Ramos, a Cal State Fullerton student and Iraqi war veteran, has been ruled a homicide, and her 54-year old roommate remains held in the Orange County jail on $1 million bail in connection with her death, according to authorities. Kwang Cho "KC" Joy is scheduled to appear in Orange County court on Tuesday, according to Orange County Sheriff's Department records. 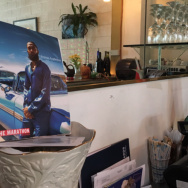 Police arrested Joy on Friday afternoon after Orange Police Department investigators contacted him in connection with the discovery of Ramos' body in unincorporated Orange County, according to authorities. Following an autopsy on Friday, Ramos' death was re-classified as a homicide, Orange Police Lieutenant David Hill said. 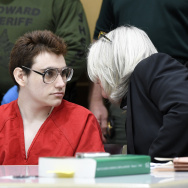 Hill said via email on Saturday that over the weekend no additional information would be released regarding the case, which was submitted to the Orange County District Attorney’s Office for prosecution. 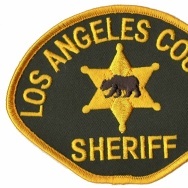 Ramos' body was found Thursday near Santiago Canyon Road and Jackson Ranch Road, near Modjeska Canyon. She was last seen at her Orange apartment complex on May 2, and was to attend a lunch hosted by KPCC to discuss student-veterans issues the week she went missing. Ramos, 36, was set to graduate this month with a degree in criminal justice from California State University, Fullerton. She had served two tours in Iraq as an Army sergeant. Ramos' friend and mentor, Brenda Estrada, told KPCC via e-mail that Ramos' family and friends "are all mourning the loss of an amazing human being." Joy had been Ramos' roommate for a year and a half. He spoke with the media immediately after she went missing in early May and was questioned throughout the case leading up to Friday. Joy had described Ramos as his best friend and the only family that he had. "The Titan family is profoundly sad upon hearing confirmation by the Orange Police Department that a body found Thursday has been identified as our student Maribel Ramos. "Since Maribel went missing earlier this month, our community has come together to spread the word about her disappearance and keep her foremost in our hearts and prayers. "Maribel was a beloved student and military veteran, who was actively engaged here on our campus and in the community. She was a wonderful role model for our students, faculty and staff. And we honor her for her past service to our country as an airborne paratrooper in the Army and her commitment to her education. "We continue to offer our support to her family and friends during this exceedingly difficult time."